Father Félix Varela (1788-1853), considered the grandfather of Cuban independence and the first Cuban-American writer, grew up here on the First Coast in St. Augustine. Years later, after his fervor for a Cuba Libre had forced him to spend most of his life exiled from his homeland, he returned to the ancient city to end his days. Varela’s two stints in St. Augustine bookended a remarkable life that saw him become a prominent writer and a respected Catholic priest now on track for sainthood. Varela was born in Havana to a Spanish father and a Cuban mother. 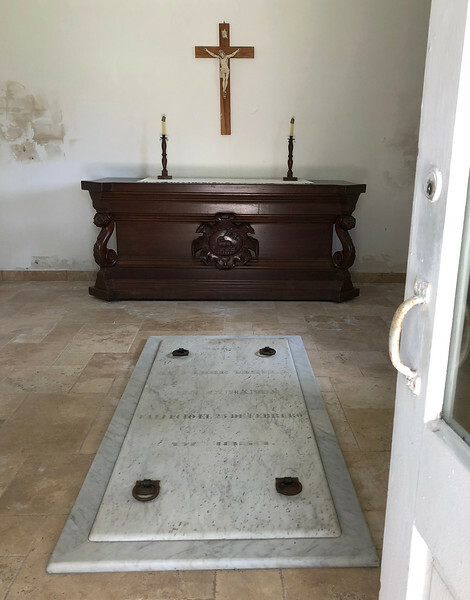 Both parents had died by the time Varela was six, and he was sent to live with his grandfather, Bartolomé Morales, commander of the Spanish garrison in St. Augustine. Varela grew up in the Castillo San Marcos, and received his early education at the small school headed by the local priest, Michael O’Reilly, the garrison’s Irish-born chaplain. It was here on the fringes of the Spanish empire that Varela came to understand life as a colonial subject. Though he grew up enmeshed in the army life, the pious Varela rejected the opportunity for a military career in favor of the priesthood, saying “my purpose is not to kill men, but to save souls.” His grandfather arranged for him to attend San Carlos Seminary in Havana. Varela was ordained a priest in 1811, and subsequently took a faculty position at the seminary. From 1812-1822 he taught several subjects and published textbooks. In 1821 he was selected to represent Cuba in the Cortes, the Spanish parliament. There he proposed that Spain grant Cuba and other colonies their independence. His proposal was ignored and Varela was swept up in the conflict between the Cortes and the king. Varela, disgusted by the crown’s treatment of its colonies, found himself accused of treason, and in 1823 he was forced into exile in the United States. He never again in life returned to Cuba. 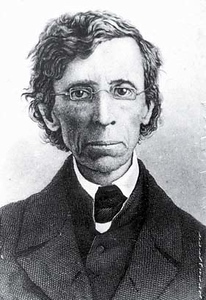 Varela became a parish priest in New York. He found a home among the city’s Irish Catholic immigrants, who had likewise come to America to escape the imperial yoke. He rose to the position of Vicar General of the diocese and founded several churches, including the Church of the Immigrant, now the Church of the Transfiguration. He also continued to advocate for Cuban independence and to write, becoming the first known Cuban-American author. While briefly residing in Philadelphia, he founded The Habanero, the country’s first Spanish-language newspaper. He published several other papers in Spanish and English, and wrote a book of essays, Cartas a Elpidio. He may also have been the author of Xicoténcatl, the first Latin-American historical novel, published anonymously in 1826. The book, which depicts the indigenous Mexican leader Xicoténcatl bravely fighting Hernan Cortes’ conquest, follows Varela’s worldview closely in exploring the negative impact of European colonialism on the New World. A major figure in Cuban history, Varela is also important to the history of the United States as an early advocate for the rights of Catholics, immigrants, the poor, and the sick. He built schools, debated against critics of Catholicism and immigrants, and spent much of his time ministering in hospitals and shelters. In 1847 Varela began suffering from ill health, and he left New York for the more salubrious climate of his childhood home of St. Augustine. 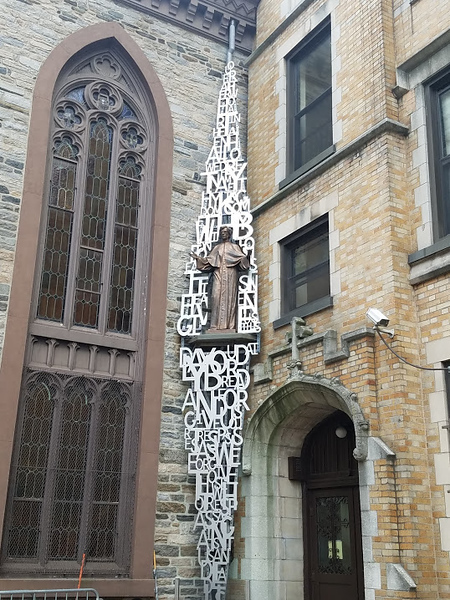 He spent his last six years in a single room by the cathedral rectory. By this time he was mostly blind and his hands shook too much to write, but his sharp mind continued to impress parishioners until his death in 1853. Varela was buried in the Tolomato Cemetery, an old Catholic cemetery on Cordova Street. Sympathetic Cubans erected a Neoclassical mortuary chapel with furnishings imported from the homeland. In 1876, when Bishop Augustin Verot died, he was interred in the chapel as well. In 1911, thirteen years after Cuba finally achieved independence from Spain, Varela’s body was removed and reinterred in a monument at the University of Havana, ending nearly a century of exile. Admirers in the Catholic Church have started campaigning for Varela to be declared a saint; in 2012 the Vatican declared him Venerable, the first step in the canonization process. There are several monuments to Varela, in St. Augustine and elsewhere. 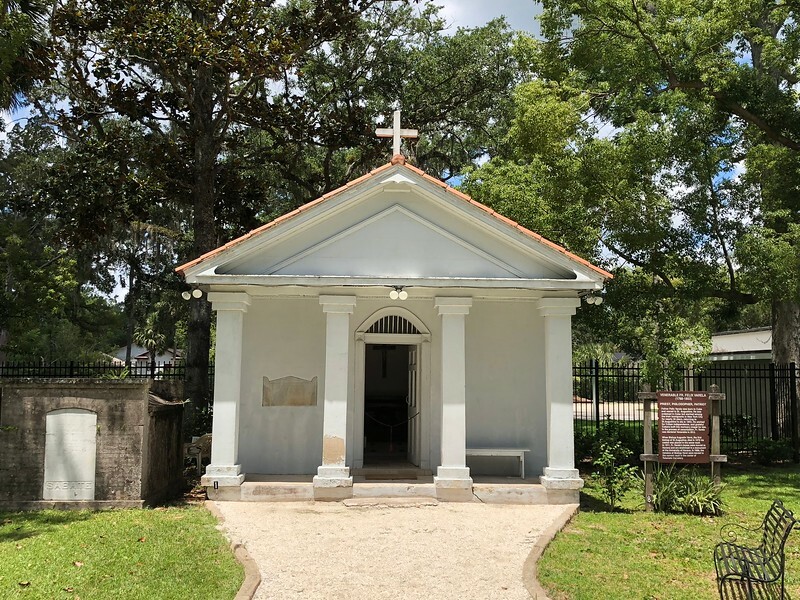 The mortuary chapel in Tolomato Cemetery where he was interred until 1911 is the main memorial to his legacy in the First Coast. Bishop Verot’s remains were moved to a vault in the middle of the cemetery. A historical plaque is nearby, and Tolomato is open to visitors the third Saturday of every month. There is also statue of Varela in the courtyard of the Cathedral Basilica of St. Augustine. 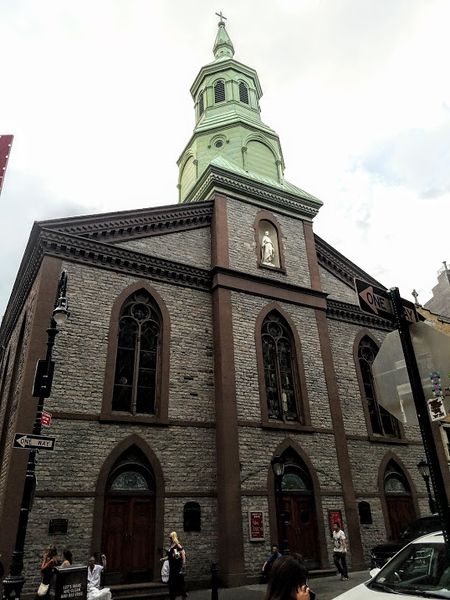 Outside Northeast Florida, there are monuments to Varela in Miami, Havana, and in New York City’s Church of the Transfiguration. Article by Bill Delaney. Photos by Bill Delaney and Kira Delaney; cover image courtesy of the Library of Congress. Contact Bill at wdelaney@moderncities.com.